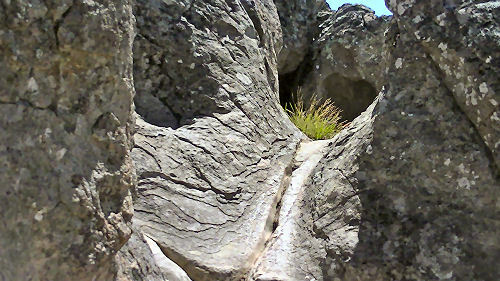 Video inside story.Richard Hughes gives a short, eloquent history of what residents achieved to safeguard the Rock with a buffer zone and to encourage native flora and fauna. 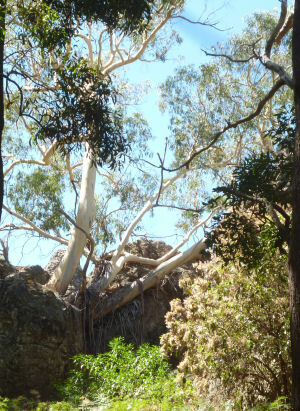 He points to the 1993 report by the Loder & Bayly Consulting Group [which we make available below], who were commissioned by the Hanging Rock Recreation Reserve Committee of Management to prepare a Landscape Management Plan for the Hanging Rock Recreation Reserve. (We cite from this document and link to the original.) Also in here a description of soils and geology of Hanging Rock. As it says in the Report [downloadable here as .pdf (8MB!) and here as a much smaller 'doc (2.95 MB)'], [and which I paraphrase here] the timing of the study was opportune, as it co-incided with the realization of a long term goal of the Committee of Management to purchase the adjacent property of 22 hectares to the east of the Reserve and incorporate this land into the existing Hanging Rock Recreation Reserve. 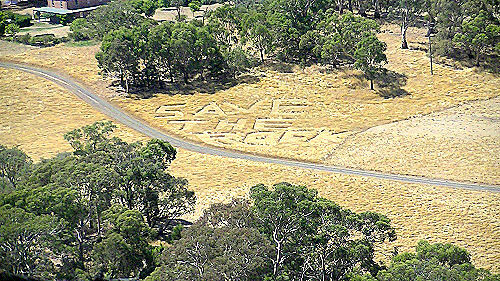 The new land acquisition was a real asset, as it facilitated the easier implementation of the main study goal as recommended by the Land Conservation Council in its review of District 1 of the Melbourne Area:"That the area continue to be used for the purposes approved by Government following publication of the final recommendation for the Melbourne area in 1977." 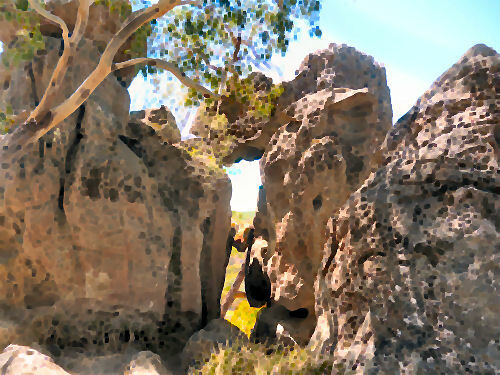 The Report notes that "the existing recreation reserve, Parish of Newham, encompasses Hanging Rock. 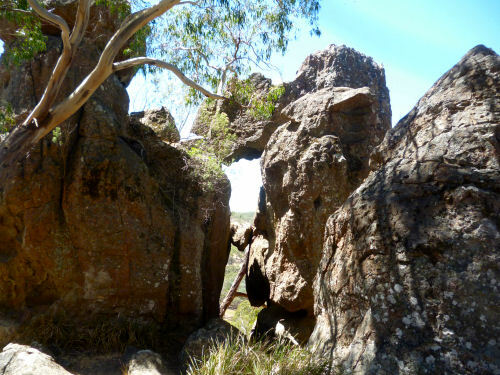 The significant geological, scenic, historical and floristic values of Hanging Rock should be protected. " The plan achieved this by allowing greater scopes for the dispersal of activities which were then concentrated close to the base of the rock, exerting pressure on the values requiring protection. In addition to the protection of natural values, major historical values preserved included the bi-annual picnic race meetings which have been run for over 100 years on the site and are of significant tourism and cultural value. 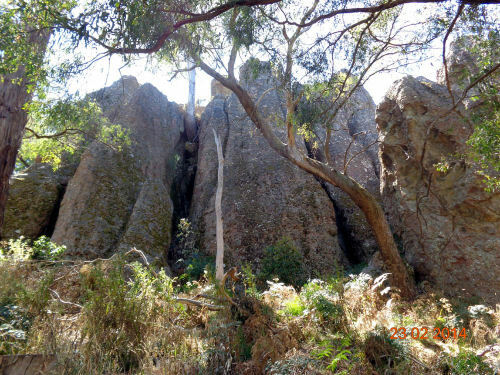 Hanging Rock is a 100 metre high volcanic mamelon lying on the time boundary between the older volcanics and a newer series. 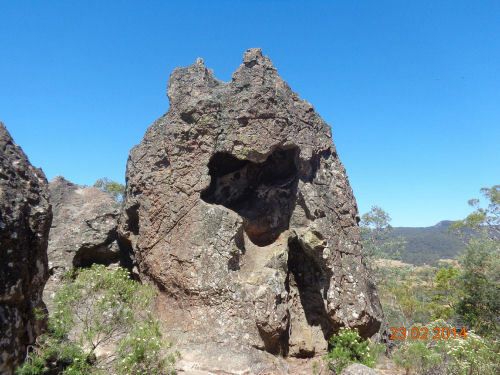 It is part of an area with affinities with other volcanic provinces in N.S.W. 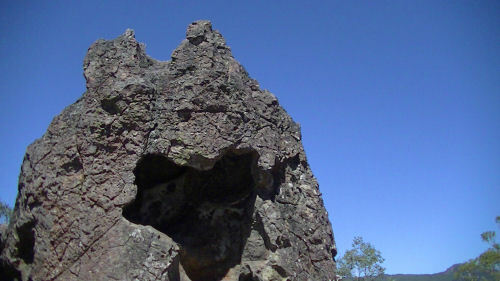 and Queensland and it has resulted from a process of Lava differentiation that is restricted to two small areas of Victoria, those two being Gisboume/Woodend and Daylesford. steep sided, fractured mass which has been exaggerated by weathering to produce the rock as we know it today. During the initial weathering process, a solution rose to the surface to form an erosion resistant crust. Where the crust has been disturbed, the erosion process has been accelerated. As a generalisation sods are deepest where the vegetation is most substantial, these areas being the central area forest and around the base of the Rock. The local soils are moderately fertile with those derived from the soda-trachyte being less so with lower levels of Phosphorus and Calcium. From the Report by the Loder & Bayly Consulting Group made available here.